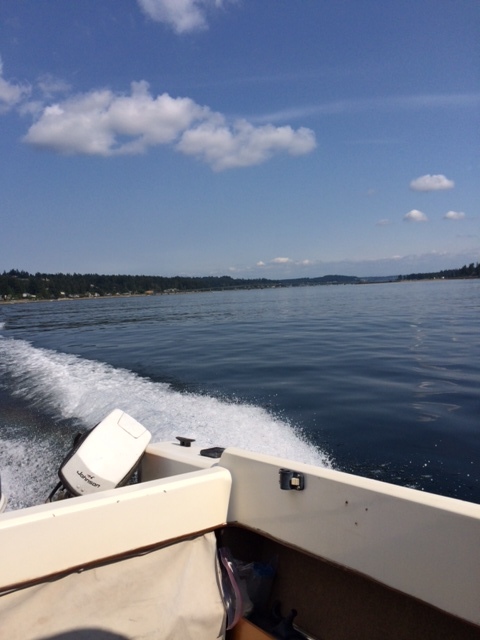 We have been having a great time out on Fox Island with Cole’s family. So much so that we’ve failed to update our blog. So, here is a catch-up of events. On Friday, the ladies went out shopping, leaving the grandchildren with Cole and Malcolm. Other family members started showing up on Friday (most of the family spends the weekends out on the island with the grandparents). We prepared and cooked about a dozen hamburger and vegetable packets on the grill for everyone. 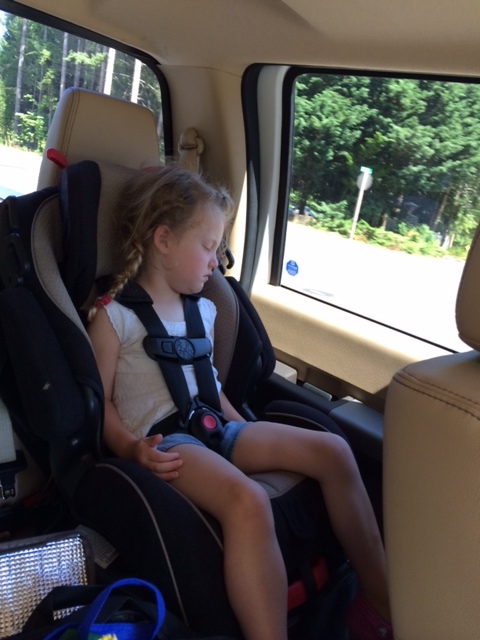 On Saturday, we (Malcolm and Val) took Violet with us and went shopping in Gig Harbor. We stopped at Michael’s first, then made a quick trip to Kohl’s. 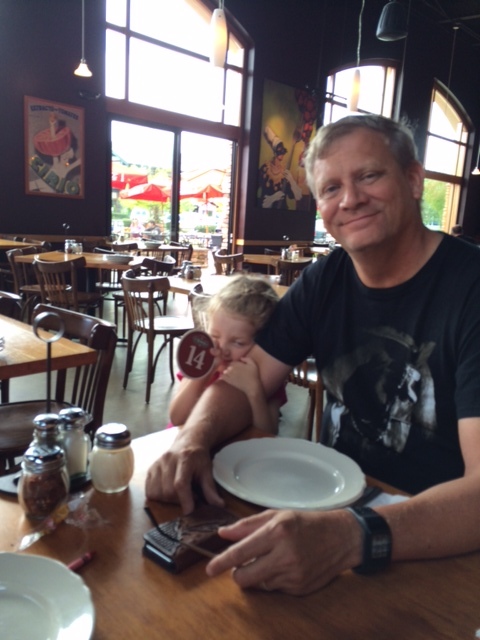 After that, the three of us enjoyed pizza for lunch. After pizza, we headed to a yarn shop that Val wanted to go to. When we pulled up, we found that there was a new toy store next door, so Malcolm and Violet went over there for a while and looked around. Once done at the toy store, we headed back towards the island. When we got back, we found out that Cole had put the boat in the water and was taking a few others for a ride. When he got back, we swapped around passengers and we had Val, Malcolm, Violet and Scarlet along for the ride. We rode completely around Fox Island. 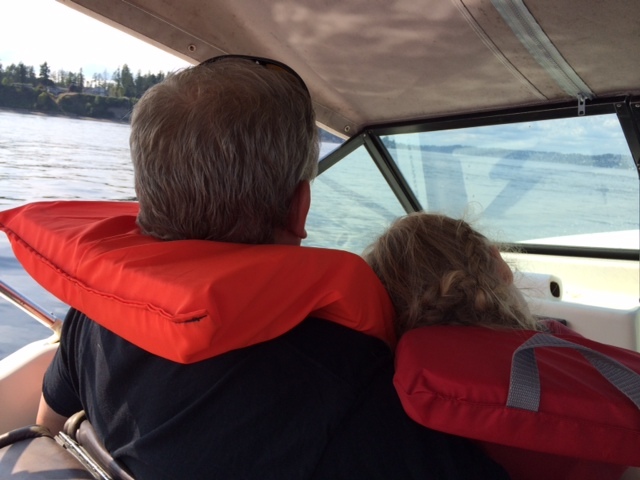 By the time we got back, Violet had nodded off to sleep on Pa’s lap. Today, we hitched up the trailer and pulled it from Fox Island over to the Washington State Fair campground in Puyallup. 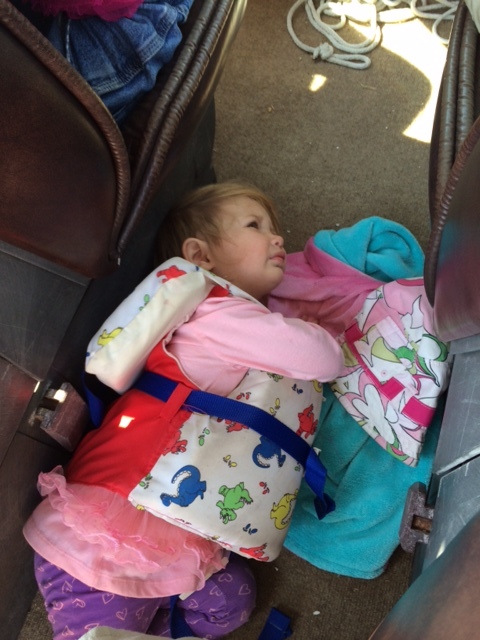 Since Violet’s car seat was still in the truck, we took her with us since mommy (Elizabeth) wasn’t feeling well today. 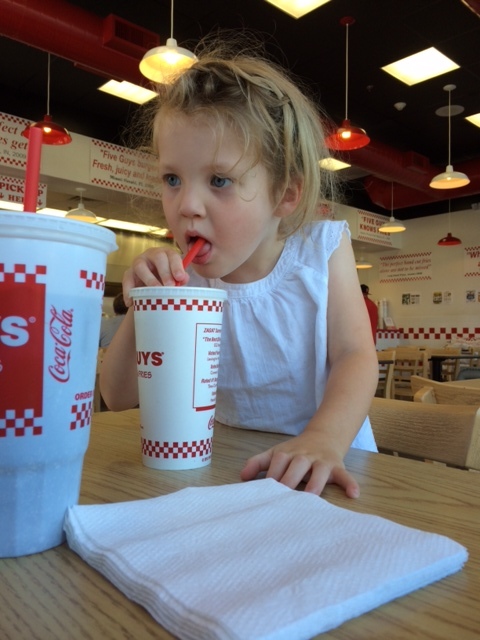 Violet helped us get set up then we headed to Five Guys for lunch. After lunch, we headed back to Fox Island to visit for the rest of the day. Cole’s parents had come in from a fishing trip and stopped in over at the island to visit. We all visited all evening, then we headed back to our trailer and Cole, Elizabeth and the girls headed home. Cole has to go back to work in the morning. We’ll head over and help Elizabeth with the girls.